We help folks get rid of lots of different types of junk. Often we are asked what are the most common junk removal requests – Here is the TOP TEN LIST. Our customers request the $99 load of junk removal because it covers so many types of jobs; garage clean outs, moving trash pick ups, spring cleaning jobs and clutter removal. 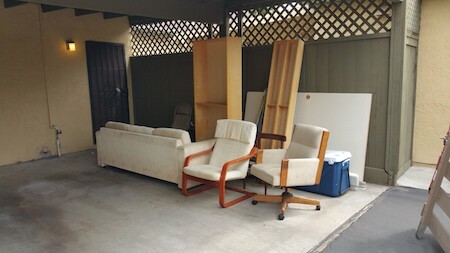 Why is the $99 Load of junk removal so popular? Because it is a great value. First they decide to get rid of a piece of furniture and then they realize that for a little bit more they can get rid of a lot more junk. We hauled this load of junk away for $99. Charged separately this load would carry a $225 price tag.